The stunning Buschbeck Ambiente masonry barbecue is no ordinary masonry barbecue! Featuring a 2 inch thick solid granite dark grey mantelpiece the amazing looks of the Buschbeck Ambiente will quickly develop into your garden's centre of attraction. 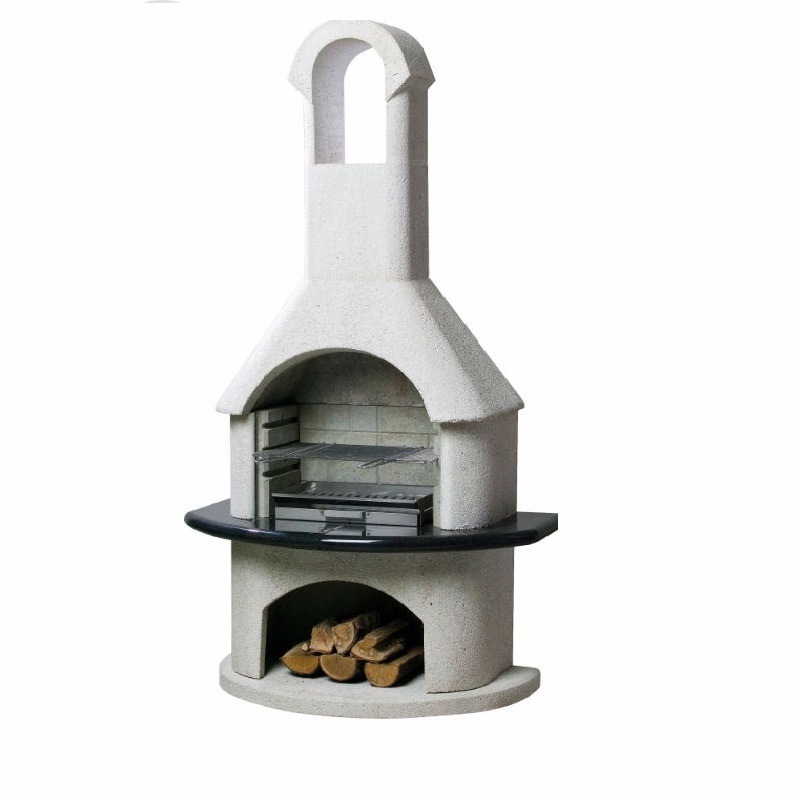 As with most of our Buschbeck barbecue fireplaces, the double skinned construction of the Ambiente means it can burn several different types of fuel allowing you to start off cooking on charcoal and then moving on to logs or firewood when you want to sit round the fireplace to keep nice and warm! 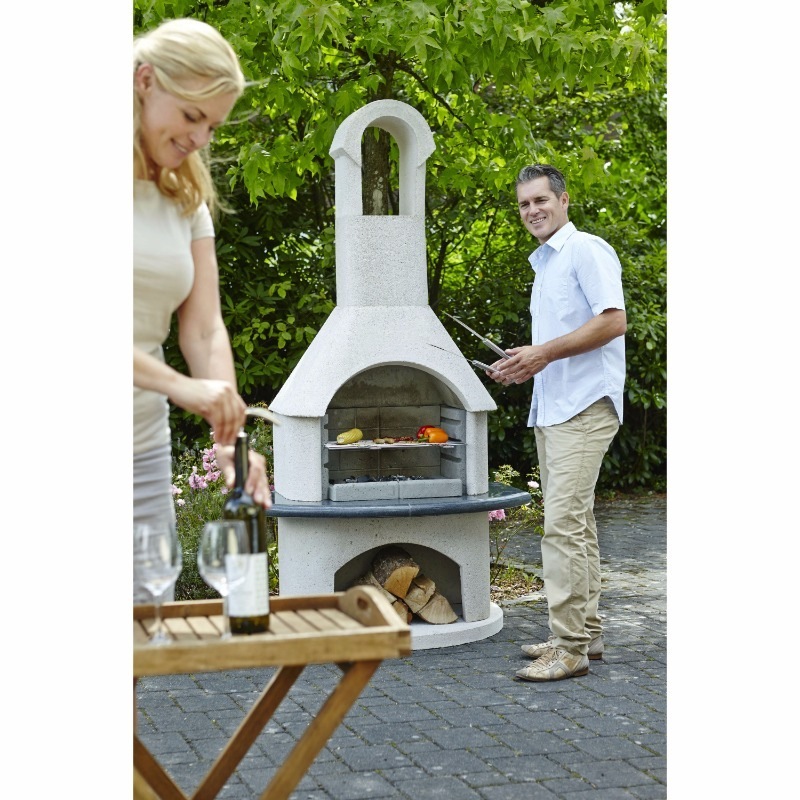 Not only is the Buschbeck Ambiente a brilliant barbecue but it is also a fantastic natural fuel fireplace / patio heater. For cooking, the Buschbeck Ambiente has three adjustable cooking heights and comes with a heavy duty chrome grill with plenty of space to grill on for even the hungriest of gatherings.